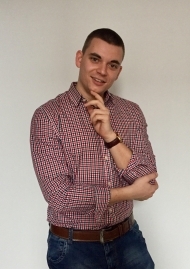 As the creator of Demark Indicators, Thomas Demark offered consulted big names in the trading industry. His contribution to technical analysis is nothing short of outstanding. He built various trading indicators. However, the retail trader doesn’t have access to all of them. And, for a good reason. While some of them do appear on some trading platforms free of charge, for the other ones, traders pay a fee. The MetaTrader4 and 5 platforms offer the first one with the default settings. However, traders need to import the other one. That’s an easy task for someone familiar with the Custom Indicators feature offered by the MT4 and 5 platforms. Just find the indicator and upload it for best use, just like you would with a regular breakout indicator mt4 traders use. As technical analysis evolved in time, traders developed new ways to look at markets. While the DeMarker indicator shows similarities with the more popular RSI (Relative Strength Index), the TD sequential indicator reveals something new. Above all, we’ll use current charts to show the effectiveness of the Demark indicators. And, in doing that, you’ll understand why technical analysis traders embraced them wholeheartedly. Technical traders use patterns from the past to project future price levels. Or, they use information on the left side of the chart, to project levels on the right side of it. Numerous technical tools exist. 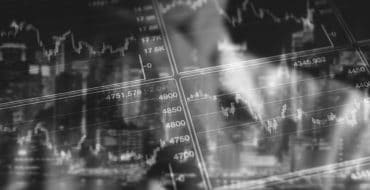 From classic trend indicators to oscillators, from trading theories and astro-trading, in time, all kind of strategies appeared. Some stood the test of time. The Elliott Wave Theory, the harmonic patterns, and a bunch of trend indicators and oscillators come from the mid-1900 times. Do they have any relevance in today’s Forex market? We all know the RSI and the way to use it, right? However, it wasn’t meant to use it on the currency market. Yet, technical analysis without indicators like the RSI wouldn’t be the same. The Demark indicators to study here show both trending and reversal conditions. Moreover, the two help traders finding potential breakouts both on lower and bigger timeframes. Can traders use the Demark indicators like a breakout indicator? The answer is positive, and we’ll explain a bit later how. To start with, let’s focus on the DeMarker or Tom DeMark indicator. You’ll find it easy to understand and use if you know how to use the RSI. Some traders argue that the DeMarker is a copy of the RSI. And, for a good reason. If you apply them both on the same chart (like we will do here a bit later), you’ll understand why. However, they do differ. Other traders like the similarities and use them to compare the two. When a cross appears, they take it as a signal to buy or sell a currency pair. One of the most powerful Demark indicators, the DeMarker appears on any trading platform. For free! It is an oscillator. And, just like the RSI, it travels only within the positive territory. Moreover, the resemblance doesn’t stop here. It too has overbought and oversold levels. If you change the name, you could swear it is the RSI. Or, is it? Values above 70 show overbought territory. Traders go short. Below 30, bulls step in, as the market enters the oversold Traders go long. Is it working, though? If the technical analysis were so simple, everyone would make money. Right? Let’s check the same chart for a bit. From left to right, all selling and buying instances seem to be profitable! Did we find the perfect indicator? The holy grail in technical analysis? Of course not! Like any oscillator, overbought and oversold levels work only when a currency pair consolidates. Or, is in a range. A quick look at the more significant timeframes and the range becomes obvious. The daily chart speaks for itself. But it doesn’t mean the overbought and oversold levels with the DeMarker have no use in trending markets. They do, mainly when traders use them as part of an integrated multi-timeframe analysis. For example, your analysis on the daily chart points to a triangle as a continuation pattern. Just like below. In this case, just use the hourly chart showed earlier. Next, ignore the overbought levels. Finally, buy on oversold only. Divergences appear when the oscillator doesn’t confirm the price movement. More precisely, the price makes two highs, but the oscillator fails to do the same. Or, for a bullish divergence, the price makes two consecutive lows, while the oscillator doesn’t. Traders know they should stay with the oscillator. Oscillators appeared from the need to filter fake moves. In strong trends, the price makes series of higher highs and higher lows, or lower lows and lower highs. If the trend continues, the oscillator shows the same pattern. However, towards the trend’s end, the oscillator fails to confirm the series. Traders use divergences like this to pick to the top or the bottom of a market. More precisely, to fade the market. Because it considers multiple periods (in the DeMarker example, 14), traders use the oscillator to interpret the future move. The hourly EURUSD chart above shows both a bearish and a bullish divergence. But again, divergences work until they don’t anymore. The price may stay in a divergence more than the trader remains solvent. Every Forex trader knows that! Still, divergences with Demark indicators work in the same way as overbought and oversold interpretation does. First, look at the bigger time frames. Second, identify the potential direction. Finally, use the DeMarker (a.k.a. Tom DeMark Indicator) to spot divergences and in the direction indicated by the bigger timeframe. This way, the DeMarker acts like a breakout indicator. Because the bigger timeframe expects a breakout, trading a divergence with the DeMarker on the lower timeframe helps to position ahead of it. As mentioned earlier, there’s a striking similarity between the RSI and the DeMarker indicator. One could not wonder what the difference between the two is? 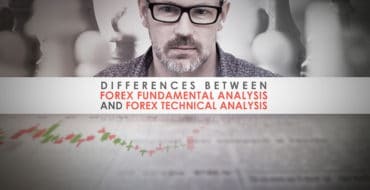 Moreover, why do technical analysis need them both? Below we have both the DeMarker and the RSI on the same chart. Moreover, both oscillators have the same period, the standard fourteen. Amazingly, the two lines look almost identical. With a few exceptions, they both show the same thing. If anything, the DeMarker travels faster. It shows a reduced lag with the price action. For this reason, savvy traders use this to their advantage. Why not use one of the best Demark indicators (DeMarker) as a signal for RSI lag? The chart above has both the RSI and the DeMarker on the same window. With a red line, the RSI lags Demarker. The idea is to check for crosses between the two. Moreover, stick with the crosses in the overbought and oversold territory. Because the DeMarker moves faster, look for crosses below or above the RSI, to signal changes in trend. Pretty accurate, isn’t it? The approach has a drawdown, though. Because the two indicators’ levels don’t match, the overbought and oversold areas mislead traders. Less known to the retail trading community, the TD sequential is one of the most interesting Tom demark indicators. It has both a simple and yet compelling interpretation. In trading, a saying goes that “simple things work best.” As such, whenever technical analysis uses simple concepts, traders have more chances to make a profit. When applied on a chart, the TD sequential plots a bunch of numbers on a chart. Without knowing what the numbers stand for, they seem useless. However, a closer look reveals there is a logic behind them. They are not random. They appear in either an ascending or descending order. And, they start with number one. An ascending order signals a bullish trend. And, apparently, a descending one signals a bearish trend. In earnest, the TD sequential brings an interesting technical analysis approach. The key and the number to remember is four! How come? Four periods turn a bullish or a bearish trend. Like with any indicator, the usual caveat applies here too. Namely, the bigger the timeframe, the more powerful the implications. It all relates to the closing prices. When a candle reverses and closes above the closing price of the candle four periods ago, the bearish trend ends. And, the new candle will have the number 1 on top of it. A potential bullish trend started. As long as no candle that follows doesn’t close below the closing price of the candle four periods ago, the bullish trend continues. When a candle does that, the bullish trend ends. Here’s an example. The blue numbers in the TD sequential indicator show a bullish trend, while the red ones a bearish trend. When any given candle closes beyond the closing price of the previous fourth candle, the sequence changes. Hence, an ascending sequence follows a descending one. And, the opposite forms after a bullish trend. See the shape of the chart above? It shows a strong, bullish, green candle that closes above the previous eight candles closing price. That’s when a new sequence starts. A bullish one. The numbers keep rising with the trend: 1,2,3,4,5,6,7,8, and so on. When the number 9 comes, that’s where the focus is. One of the dominant things of using Demark indicators is their reversal strength. In this case, the technical analysis with the TD sequential indicator shows both trending and reversal conditions. When the indicator plots the number 9, it means the series/sequence has nine consecutive candles that respect the indicator’s rule. If this happens, a pullback is in the cards. Traders look to fade the move. But, even currencies don’t trend all the time. As such, not always the price has the power to print nine candles in a row to respect the technical analysis rules set by Demark analysis. A bullish sequence looks exhausted after nine consecutive candles close above the previous fourth candle’s close. When this happens, the indicator highlights the number 9 with a bigger font. The aim is to draw traders attention to it. Reversal conditions exist, so the bulls just received a warning. In a bearish trend, the numbering appears below the candlesticks. But, the interpretation remains the same. However, substantial trends see the counting going well beyond the ninth candle. Yet, even strong trends have meaningful pullbacks. And, this is what this indicator signals. A pullback. Nothing else. Judging by the sequence, the indicator fits more scalpers and swing traders, rather than investors. Traders looking for quick profits on short-term moves will love it. The chart above shows green and red arrows. Placed below or above the candle number nine, they show potential reversals. From left to right, in four instances the market made a new swing higher/lower after the ninth candle. And, in five cases, the market reversed from that candle. It’s not good enough for a trading strategy. However, using a tight stop loss might end up with solid profits after all. While a tight stop loss does help in finding a better strategy, it isn’t enough. How about screening the signals? One way to do that is to wait for a closing beyond the ninth candle’s end. Next, stay with the new trend. Finally, exit either on the new number nine, or when a different signal appears. Rinse and repeat. Another way is to use the two Demark indicators together. Technical analysis allows us to integrate two or more indicators to find out the best way to profit from a market. Here’s the deal. First, look for the ninth candle, either in a bullish or a bearish trend. Second, apply the DeMarker indicator on the same timeframe. Also, use the default fourteen periods, as well as the default 70 and 30 levels. Finally, trade only the candles number 9 that come into the overbought and oversold territory. Such a simple approach filters much of the noise in any timeframe. In the example above, all trades following this system proved profitable. In fact, the market turned almost in an instant, while the other ones were skipped as the DeMarker didn’t allow the trade. Because the sequence has a limited number of candles, risk-reward ratios won’t work here. However, it doesn’t mean the trades don’t worth the trouble. Depending on the trend’s aggressiveness, some trades offer more than the 1:2 or 1:3 ratio traders look for. Nevertheless, the approach brings discipline to a trading approach. The Demark indicators don’t come with the default settings in the Metatrader4 or 5 platforms. Another trading platform may or may not offer them all. 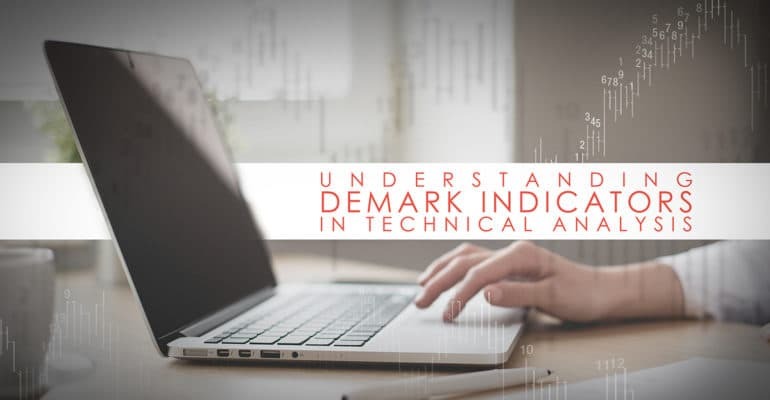 This article showed how to use two of the most potent Demark indicators in technical analysis. If the trading platform doesn’t show them, you may have to either search the Internet for a free version or purchase one. Other Demark indicators than the ones mentioned here are the TD Combo, the TD trendlines, and so on. While they bring something new to technical analysis, in the end, the difference is not that impressive. Consider the RSI and DeMarker similarities. After all, every oscillator shows the same thing. However, the main idea of this article was to show how the two indicators work together. Just like the Bill Williams indicators, a combination of the two results in accurate signals. Other articles here stressed the importance of money management. And, stressed the entries and exits as part of trading strategies. After all, technical analysis is all about forecasting future prices while managing risk. Or, the other way around. In any case, used together, the two Demark indicators offer an accurate solution. Moreover, the same principles are valid in any timeframe. There’s no difference between the hourly timeframe examples we used here, and, say the daily one. Or, the four-hour one. The only thing that changes is the trend’s length. To sum up, scalpers and swing traders have something new to use. Two indicators that come to complete technical analysis, that offer a stunning way to trade mini trends on various timeframes.